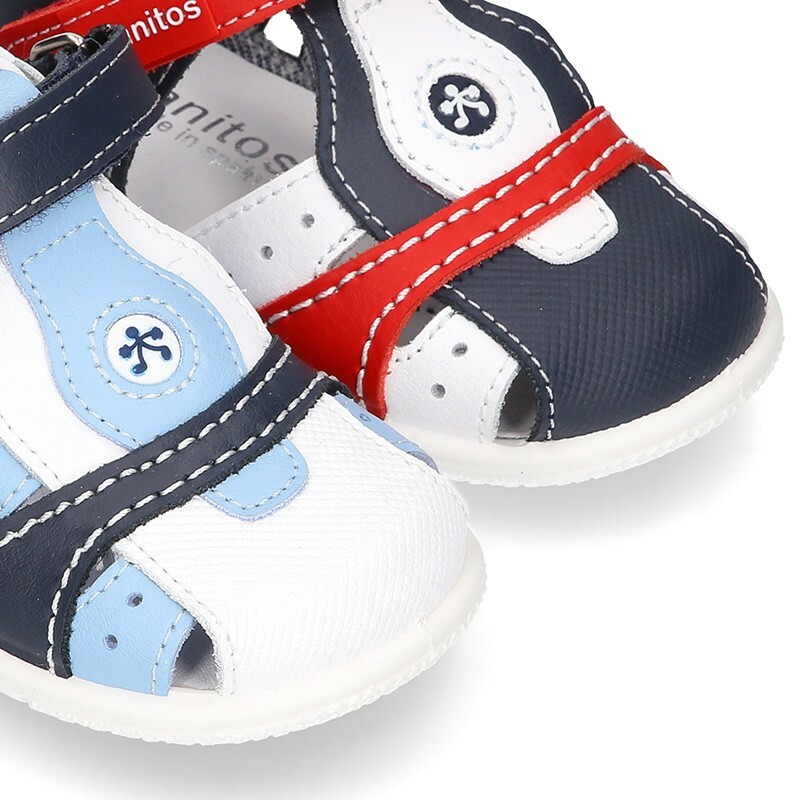 Tienda online de sandalias para niños pequeños con velcro en piel lavable combinada. 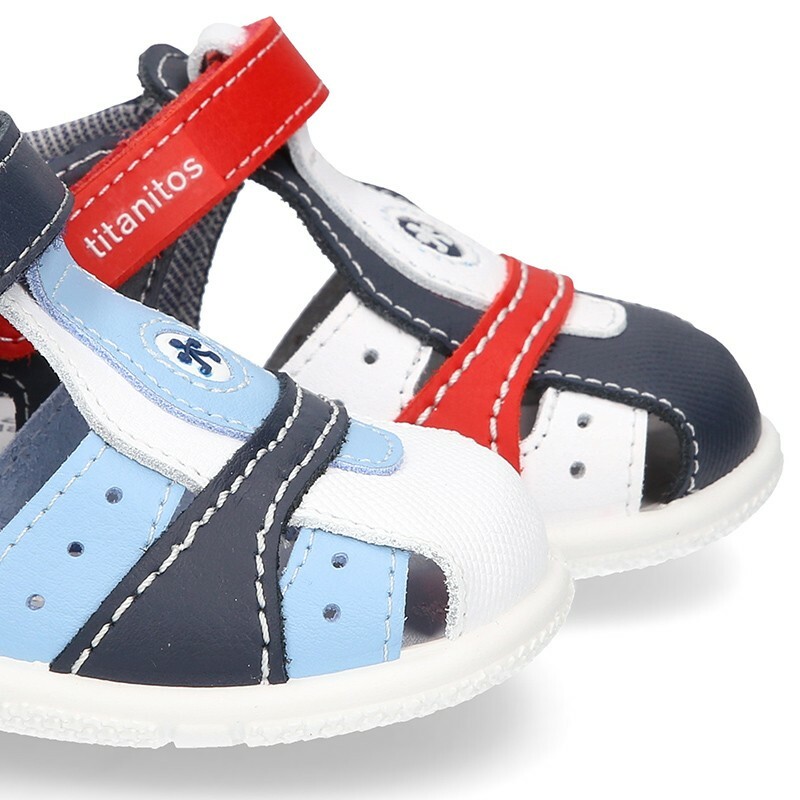 > First Steps>Sandals>Combined Washable leather Sandal shoes for little kids with velcro strap and EXTRA FLEXIBLE outsole. 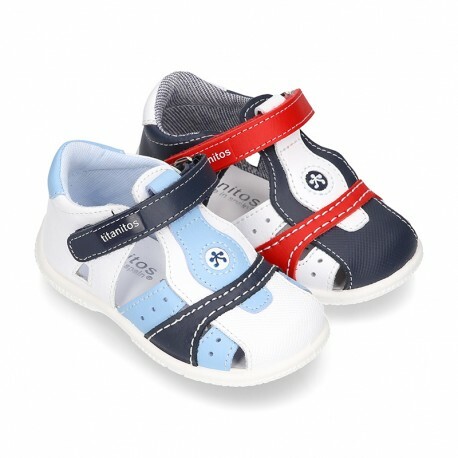 Combined Washable leather Sandal shoes for little kids with velcro strap and EXTRA FLEXIBLE outsole. 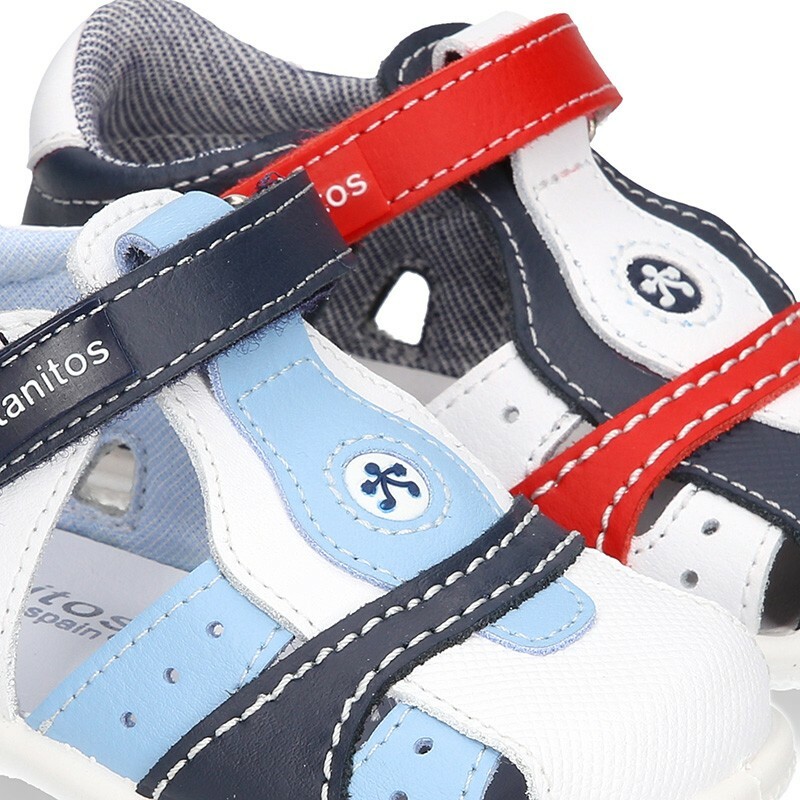 More info about Combined Washable leather Sandal shoes for little kids with velcro strap and EXTRA FLEXIBLE outsole. 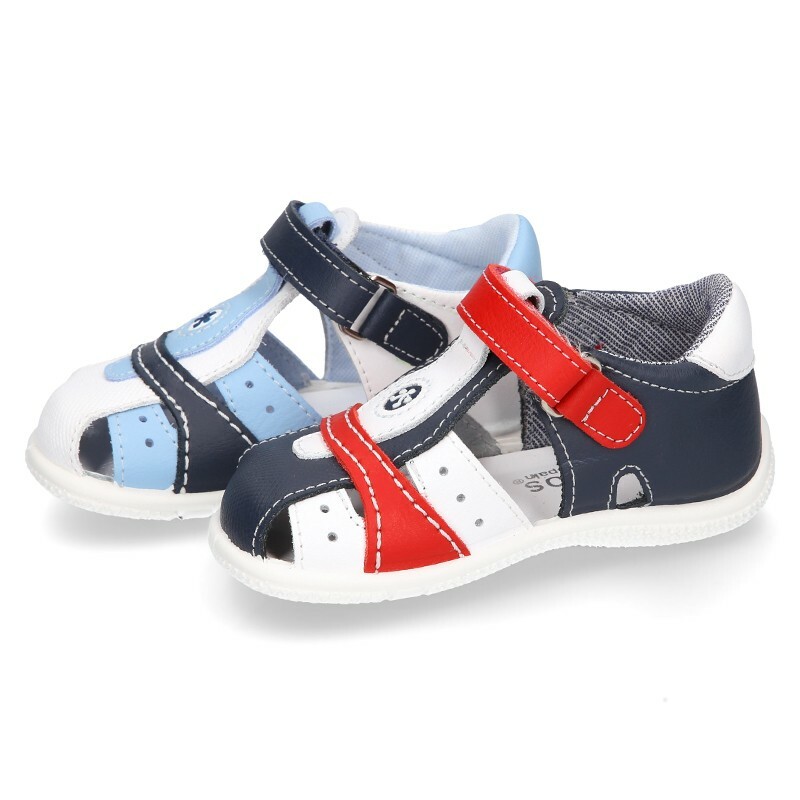 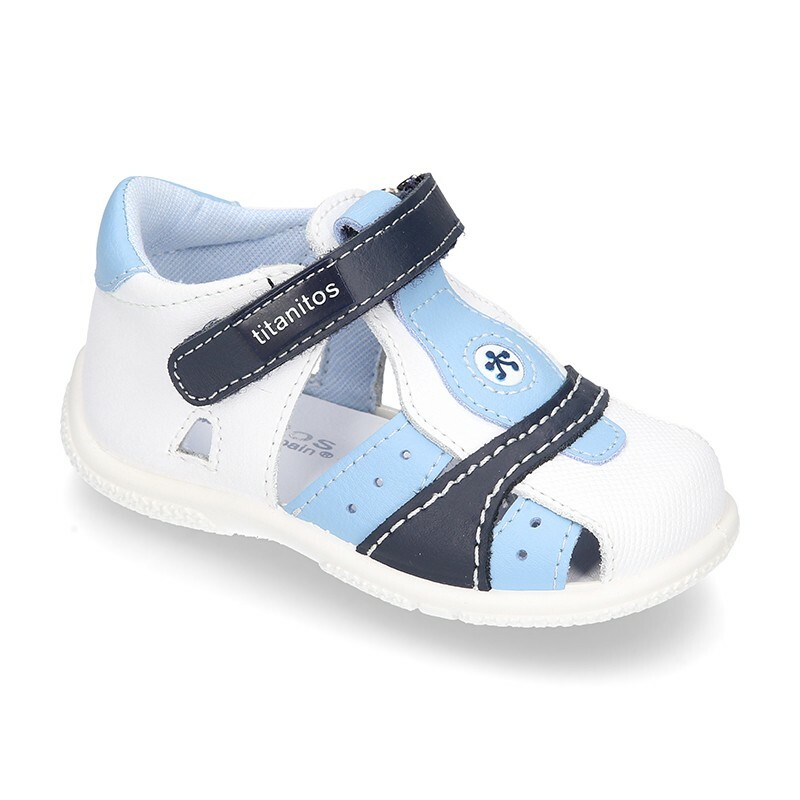 Combined Washable leather sandal style shoes with velcro strap and SUPER FLEXIBLE outsole for little kids. 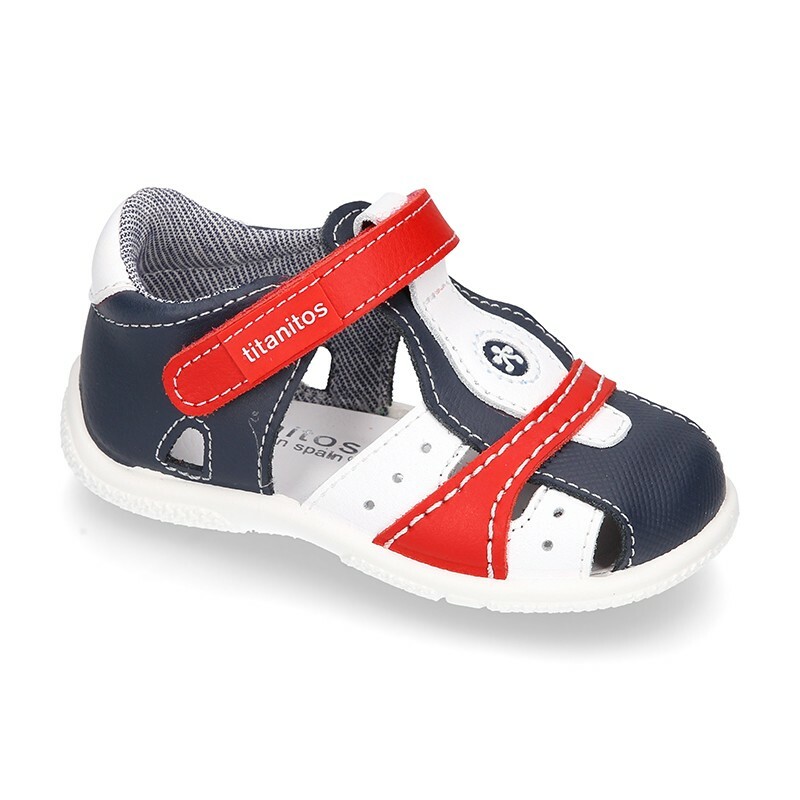 Made up of 100% high quality natural washable leather. 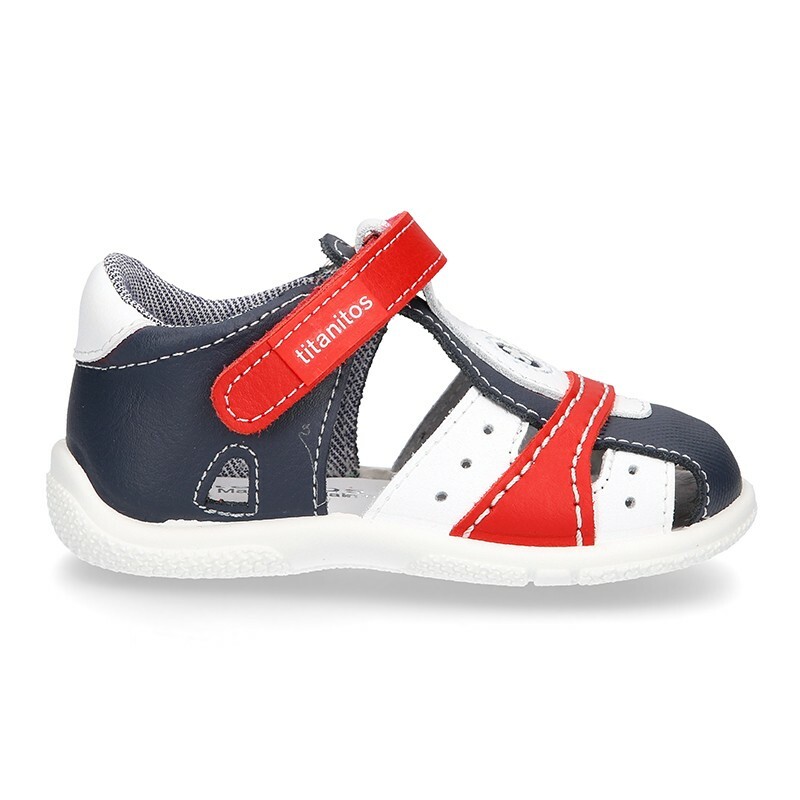 Perfect model for every day, playing in the parks or going to camps this summer. 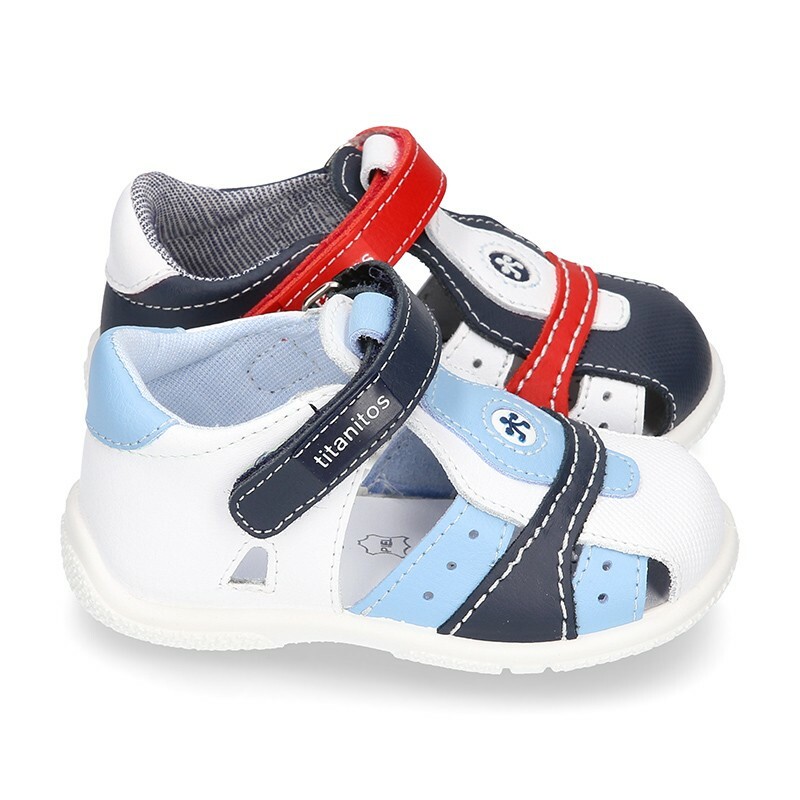 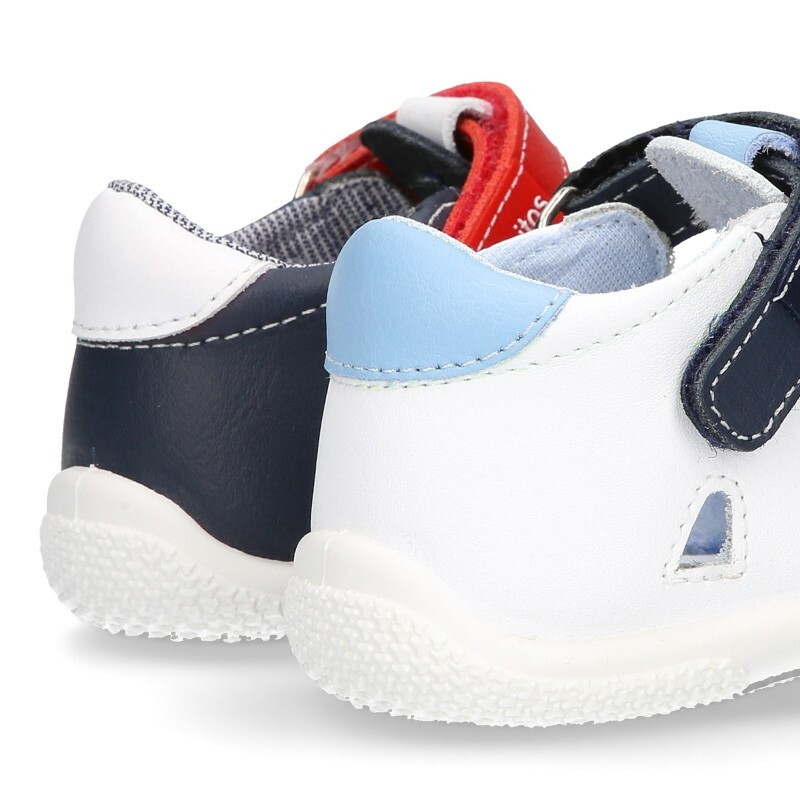 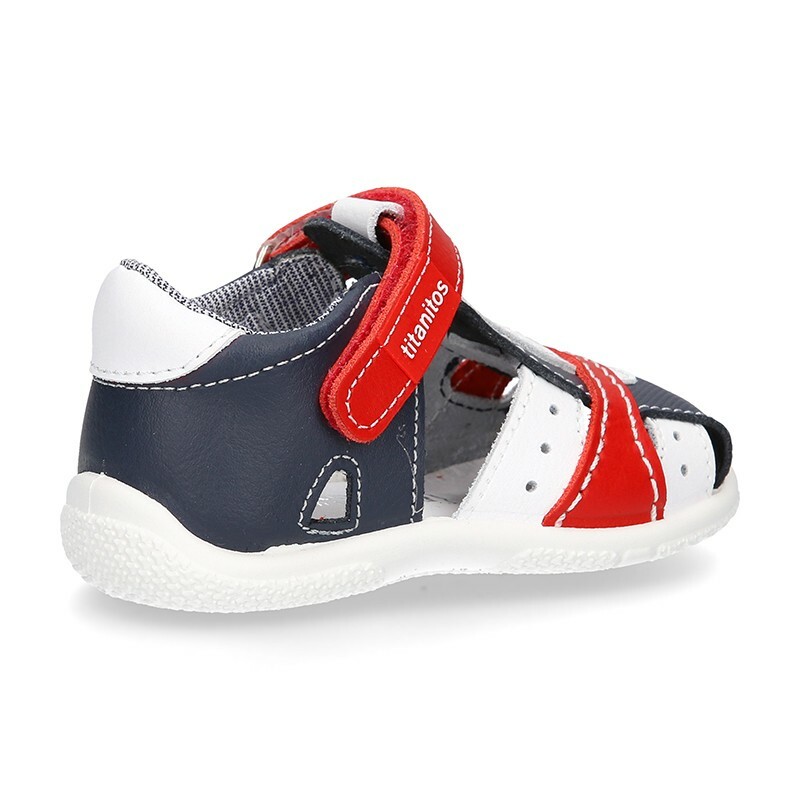 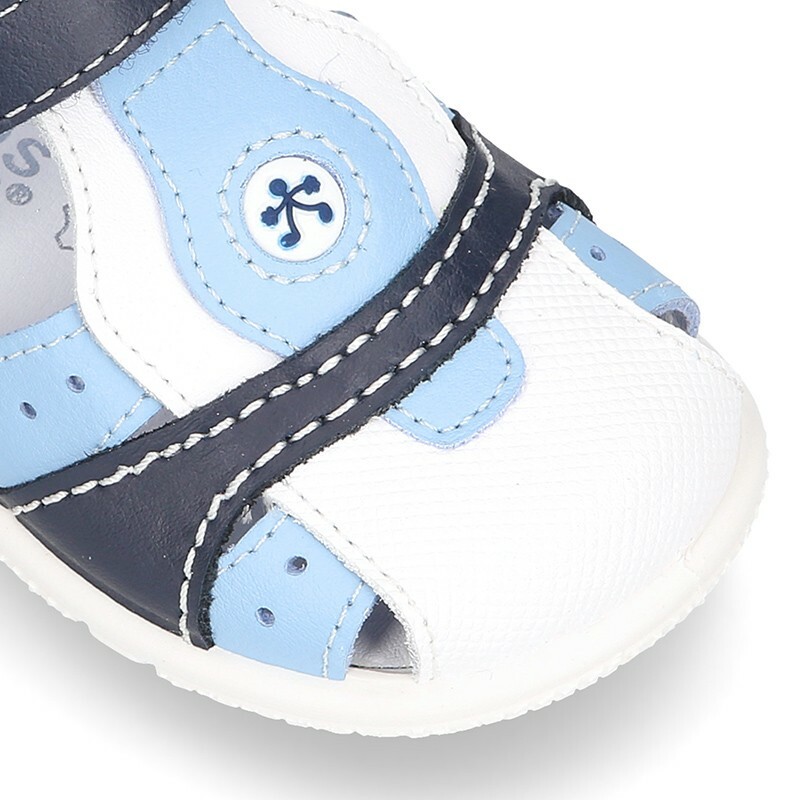 With velcro strap closure for a prefect grip and a better adaptability to any little feet. 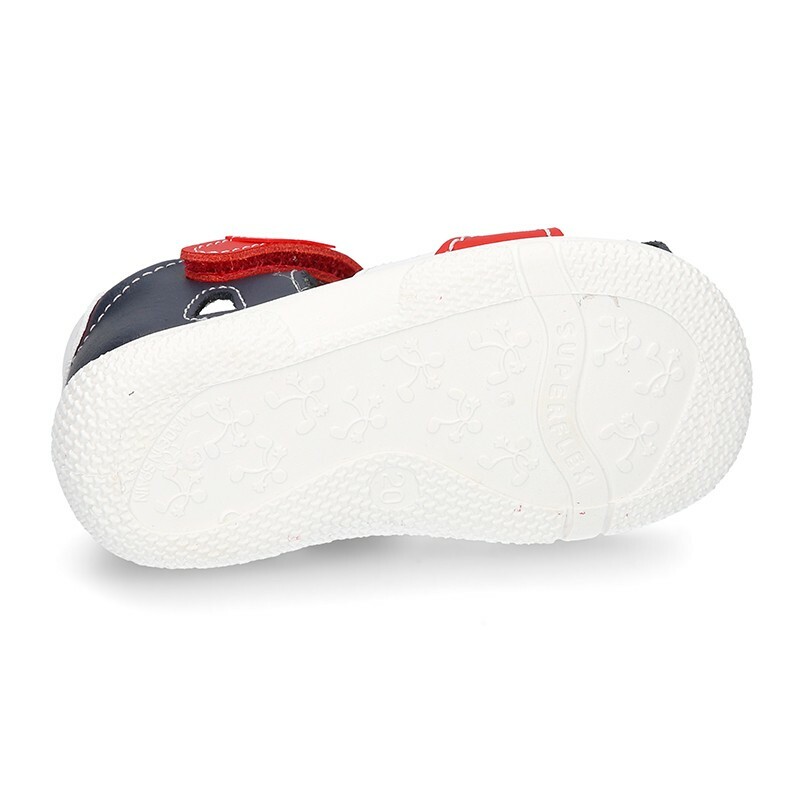 It´s a very casual and sport model. 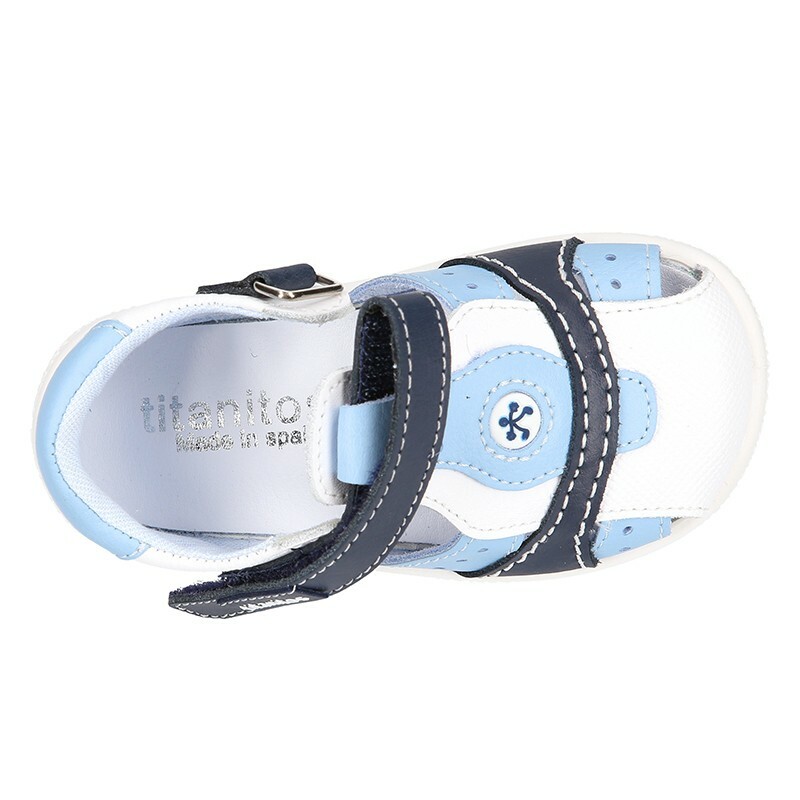 Data sheet about Combined Washable leather Sandal shoes for little kids with velcro strap and EXTRA FLEXIBLE outsole.